Neurons of the rostral part of inferior premotor cortex of the monkey discharge during goal-directed hand movements such as grasping, holding, and tearing. We report here that many of these neurons become active also when the monkey observes specific, meaningful hand movements performed by the experimenters. The effective experimenters' movements include among others placing or retrieving a piece of food from a table, grasping food from another experimenter's hand, and manipulating objects. 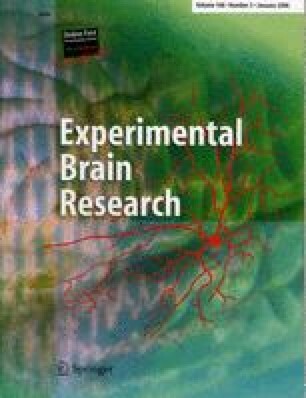 There is always a clear link between the effective observed movement and that executed by the monkey and, often, only movements of the experimenter identical to those controlled by a given neuron are able to activate it. These findings indicate that premotor neurons can retrieve movements not only on the basis of stimulus characteristics, as previously described, but also on the basis of the meaning of the observed actions.